If you've forgotten, misplaced, or plain just don't have your phone charger, never fear. You can still get your phone charged. All of these methods require either a charging cable compatible with your phone or a wireless charging pad. The urban myth that you can use fruit to charge your phone is technically true, but requires a LOT of fruit and additional equipment. Therefore, it is impractical and not recommended. For this process you will need a charging cable that is compatible with your phone. Most USB ports found in airports and some coffee shops provide enough power to charge a standard smartphone. Keep in mind some hotels have USB ports built into lamps and bedside tables. They are usually all of the USB-A shape (that's the rectangle end of the cable you usually use to charge your phone). Plug the USB end of the charging cable into the USB port. Plug the other end into your phone. You’ll need to do a little advance planning to use this method. All modern battery packs can supply enough power to charge your smartphone, although not all of them may support fast charging (even if your phone does). Charge your battery pack in advance and remember to take it with you when you won’t have access to your regular phone charger (or simply carry it with you at all times). Each battery pack will be slightly different, but typically all you need to do is plug the charging cable into it and into your phone, and turn it on. The beauty of a hand-crank charger is that it doesn’t require any electrical power at all, making it a great choice for outdoor adventures or emergencies. Plug your charging cable into the charger and into your phone, and keep cranking until you get a usable charge. Keep in mind it may take some time before you get a usable charge. Some hand crank models have batteries built in, so you could charge the battery and then use the battery to charge your phone. Another great choice for outdoor adventures, a solar-powered charger only requires sunlight to run. 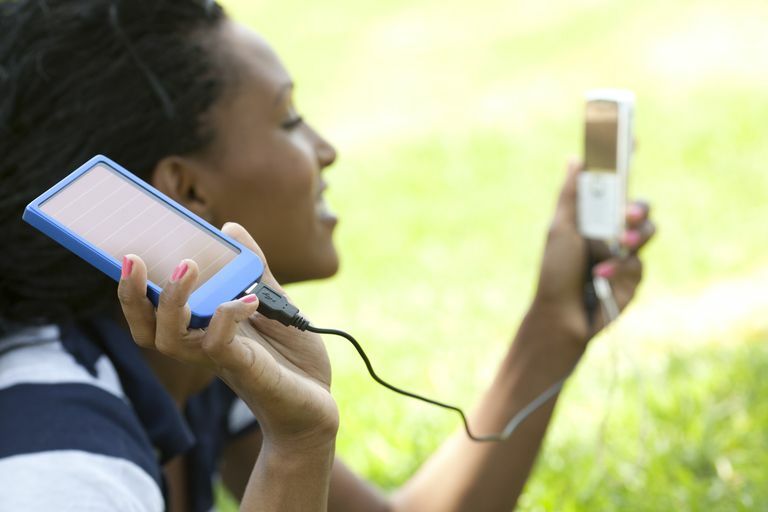 Solar chargers typically work in one of two ways: Sunlight charges a battery in the unit which is then used to charge the phone or solar charger charges the phone directly. Set up the charger to collect sunlight, or place it on your backpack to charge it while hiking. Plug your charging cable into the charger and into your phone. Most modern vehicles have USB ports that you can use for charging mobile devices. If not, you can buy an adapter that plugs into the lighter port. Start your car or turn it in to accessory mode. Plug one end of your charging cable into the car’s USB port or adapter and the other end into your phone. If your smartphone works with wireless charging, you don't have to do anything other than place your phone on the charging pad.